From prairie and river ecosystems to the biology of Ice Age–mammals, nature and its conservation, the focus at this Lincoln Park museum situated alongside a lagoon is vast and varied. 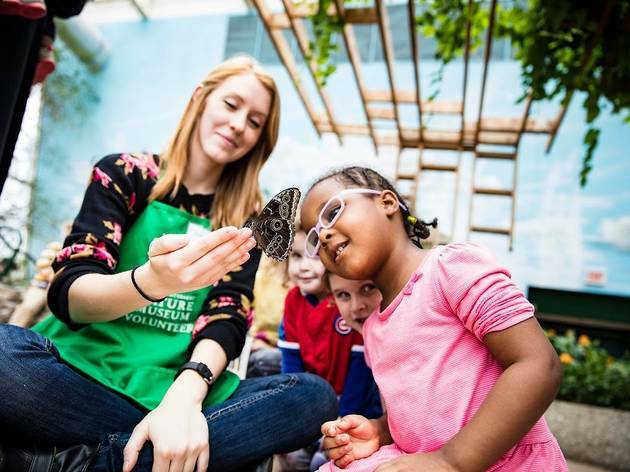 Hands-on interactive displays on marsh and river ecosystems engage kids, while the thousand fluttering beauties of the 2,700-square-foot Judy Istock Butterfly Haven appeal to all ages. El: Brown, Purple (rush hrs), Red to Fullerton. Bus: 74, 151. $9, seniors and students $7, kids ages 3–12 $6, kids under 3 free. Thursdays are free for Illinois residents. We walked around outside before entering the museum. I definitely enjoyed the outside more than the inside. Inside was more for children. Thursdays are free for IL residents! The Nature Museum is such a treasure! It has an amazing collection of plants, animals, and insects. 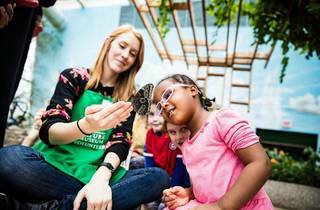 One of it's best features is the butterfly room, which allows visitors to experience live butterflies in their natural environment. The museum also has some great nature trails to explore. The Nature Museum is a real treat for both kids and adults.